At this point it is hard to come by a person who isn’t familiar with someone that has been affected by an Advanced Persistent Threat. 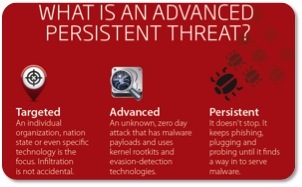 An Advanced Persistent Threat (APT) is a very high-tech, cutting edge attack leveraged to gain prolonged, stealthy control over a high value, political or business target. The problem is, they’re everywhere and even hacks on businesses and large companies can trickle down to the everyday consumer. SLPowers with WatchGuard technologies recently provided a free webinar sharing tips and information on how to protect your business against the lurking online threats. Check out the highlights below (as well as some extra info from other sources), and be sure to get on the mailing list for an invite to our next webinar! Harrison Midkiff of WatchGuard shared some helpful information about APTs. An Advanced Persistent Threat (APT) attack is a type of network attack that uses advanced malware and zero-day exploits to get access to networks and confidential data over an extended period of time. APT attacks are highly sophisticated and often target specific, high-profile institutions, such as government or financial-sector companies. Use of this advanced malware has also expanded to target smaller networks and lower-profile organizations. Advanced – An unknown, zero day attack that has malware payloads and uses kernel rootkits and evasion-detection technologies. Persistent – It doesn’t stop. It keeps phishing, plugging and probing until it finds a way in to serve malware. Targeted – Sometimes backed by nation states, goes after specific technology and highly complex. Be wary of email phishing scams or other gimmicks which aim to get you to download malware. 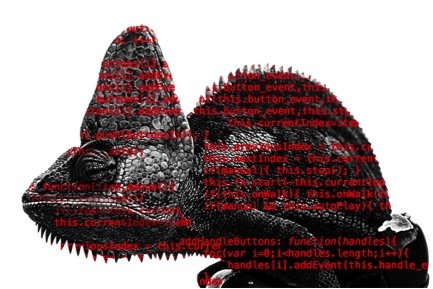 Today, normal criminal malware exploits the same advanced tactics as nation-state APTs. Every organization is at risk of advanced threats! Generally, APT hackers employ familiar methods, using phishing emails or other tricks to fool users into downloading malware. But the ultimate objective tends to be very ambitious. If you discover a break-in where the only apparent intent was to steal money from your company, then it probably wasn’t an APT hack. Those who deal in APTs are trying to be your company. GhostNet – Attack launched from China to go after political & economic data. Stuxnet – Worm that went after industrial Programmable Logic Controllers primarily used in the Iranian centrifuges to enrich uranium. GhostNet – Is the name given by researchers at the Information Warfare Monitor to a large-scale cyber spying operation discovered in March 2009. Operation Aurora – Was a cyber attack conducted by advanced persistent threats such as the Elderwood Group based in Beijing, China, with ties to the People’s Liberation Army. First publicly disclosed by Google on January 12, 2010, in a blog post, the attack began in mid-2009 and continued through December 2009. Stuxnet – Was a computer worm that was discovered in June 2010. It was designed to attack industrial Programmable Logic Controllers or PLCs. Duqu – Duqu is a collection of computer Malware discovered on 1 September 2011, thought to be related to the Stuxnet worm. Flame – Also known as Flamer, sKyWIper, and Skywiper, is modular computer malware discovered in 2012 that attacks computers running the Microsoft Windows operating system. The program is being used for targeted cyber espionage in Middle Eastern countries. Another of the high profile attacks mentioned in the webinar, Stuxnet, caused a great deal of damage. The most well-known example of a cyber attack on a physical infrastructure is the Stuxnet malware, which was allegedly built by the U.S. and Israeli governments and deployed on the computer systems of Iranian nuclear facilities beginning in 2008, disrupting a fifth of Iranian facilities and setting back Iran’s nuclear plans by as much as two years. Traditional AntiMalware is NOT Enough! If you would like to hear about our next webinar, let us know– we’d love to have you. And if you want to know more about WatchGuard and SLPowers services, and what we can do to help protect you against APTs, visit us online or contact us to see how we can help. SLPowers was selected as WatchGuard’s Expert Partner of the Year in 2012. 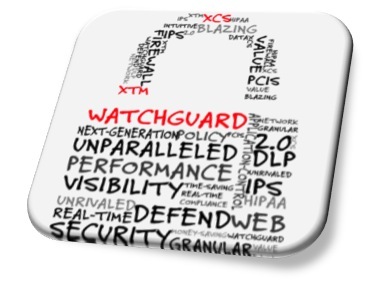 We are also a WatchGuard Certified Training Partner and a WatchGuard Managed Security Service Provider.